The technology group Wärtsilä's project to bring floating rubbish bins to Finland is making progress. The project is being executed in honour of Finland's centenary. The Seabin floating rubbish bin donated by Wärtsilä to the city of Turku was installed for test use in Turku guest harbour on the Aurajoki river today. The installation was part of the Tall Ships Race event. 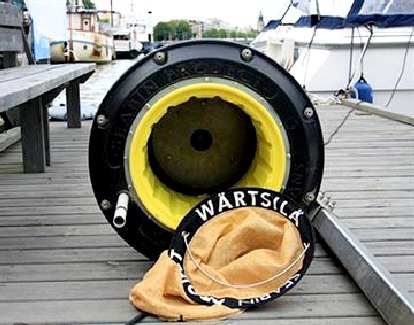 The City of Turku Public Utility Property Management and the Turku guest harbour will be responsible for the operation and upkeep of the Seabin in Turku. The Seabin in Turku is the first one located on a river, and the Seabin Project is looking forward to the results from this test use. Now collecting oil for special "oil absorbers" will be tested, the oil absorbers will be installed in sea buckthorn bags. Pete Ceglinski from the Seabin Project says: "The team at Seabin Project is extremely proud to see the simple, yet innovative Seabin technology being rolled out through Finland by our pilot partner Wärtsilä. This year is an extremely important period for Seabin to develop strategic partnerships with key partners in order to further develop the technology with a real time return of user experience. Working together with industrial leaders like Wärtsilä and forward thinking countries such as Finland is the real way forwards in the fight against the global issue of ocean plastics." During the partnership programme, Wärtsilä has already donated two floating rubbish bins to the City of Helsinki and the Port of Helsinki. The Seabin installed in Uunisaari in May has been relocated close to the pier of the Sirpalesaari boat in Kaivopuisto. The other Seabin has been tested in Allas Sea Pool. By testing and learning lessons from the pilot versions in Helsinki, new kinds of attachment systems have been developed and installed that suit Finland's local conditions better. 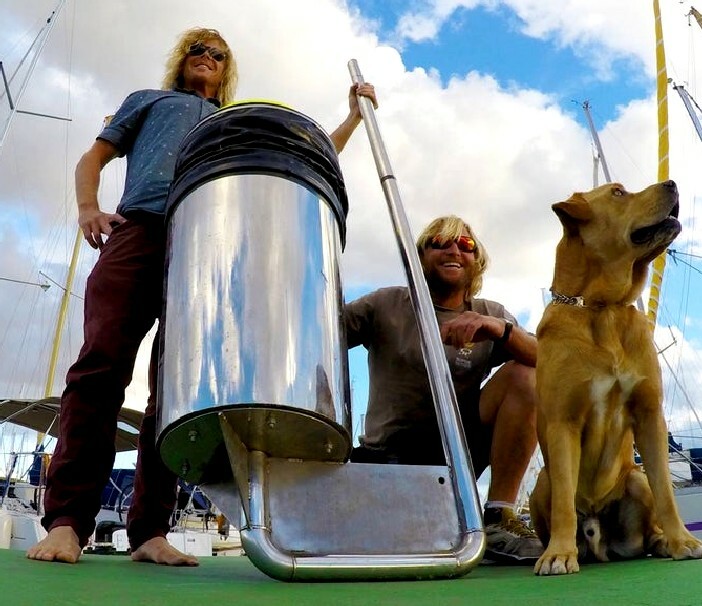 The Seabin is a floating rubbish bin that is located in the water at marinas, docks, yacht clubs and commercial ports, where it collects all floating rubbish. 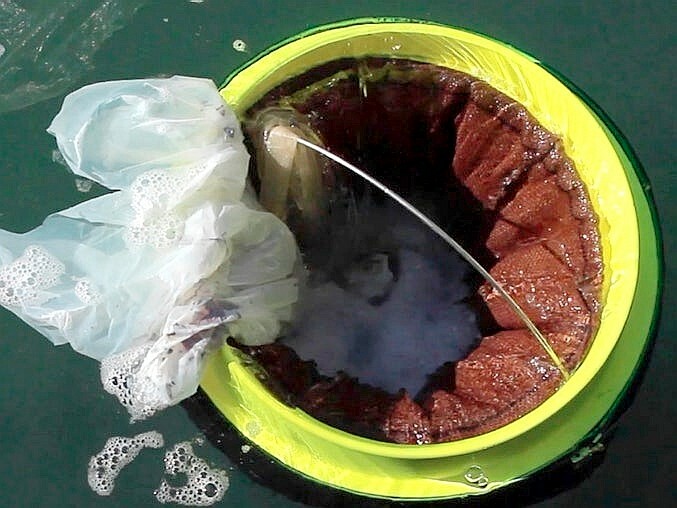 Water is sucked in from the surface and passes through the catch bag inside the Seabin. The water is then pumped back into the marina leaving litter and debris trapped in the catch bag to be disposed of properly. 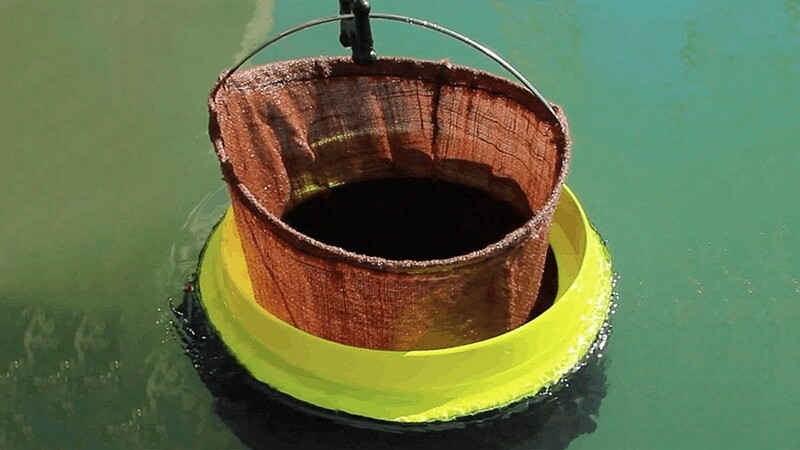 The Seabin also has the potential to collect some of the oils and pollutants floating on the water surface. 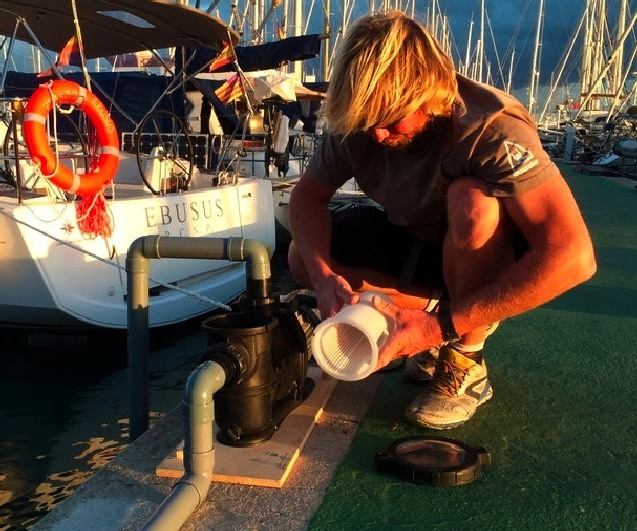 The Seabin Project's team currently uses 12-volt submersible water pumps that can utilise alternative and clean energy sources. These may include solar, wave or wind power, depending on the location and available technology. Wärtsilä will be operating as the Seabin Project's global pilot partner for the next three years. The other six pilot partners are La Grande Motte in Southern France, Porto Montenegro in Montenegro, Port Adriano in Mallorca (Spain), Butterfield in Bermuda, and Safe Harbor Marinas in the United States. Seabin Project launched its new V5 Hybrid model at the end of April. It then began installing prototypes at its pilot partners' sites. For a three-month trial period, the pilot partners will provide information about how the floating rubbish bins have functioned. Seabins are expected to go on commercial sale during the autumn. Wärtsilä is a member of the Sustainable Shipping Initiative and is a signatory to the UN's Global Compact initiative. The company is transforming traditional shipping and energy markets by developing sustainable and renewable solutions that improve the environmental footprint of maritime transport and energy generation. Wärtsilä offers high technology designed to reduce ship emissions: systems for scrubbing exhaust gases and dual fuel engines, which are primarily designed for liquefied natural gas – a cleaner alternative to diesel and biodiesel. Wärtsilä also designs, delivers and installs technologies designed for processing ballast water, reducing the amount of pollution released into oceans. This is beneficial to marine ecosystems all around the world. Wärtsilä's remote monitoring and equipment monitoring help to optimise ship operations. Wärtsilä's strong offering has received significant reinforcement in the form of solar energy solutions. Wärtsilä's sustainable innovations help its customers to reduce their carbon emissions. Wärtsilä is the first company to offer large-scale solar hybrid power plants. Hybrid solutions combine solar power farms with Wärtsilä's smart and highly flexible power plant solution. Both units operate in a synchronised manner, cutting the amount of fuel consumed by the engines.